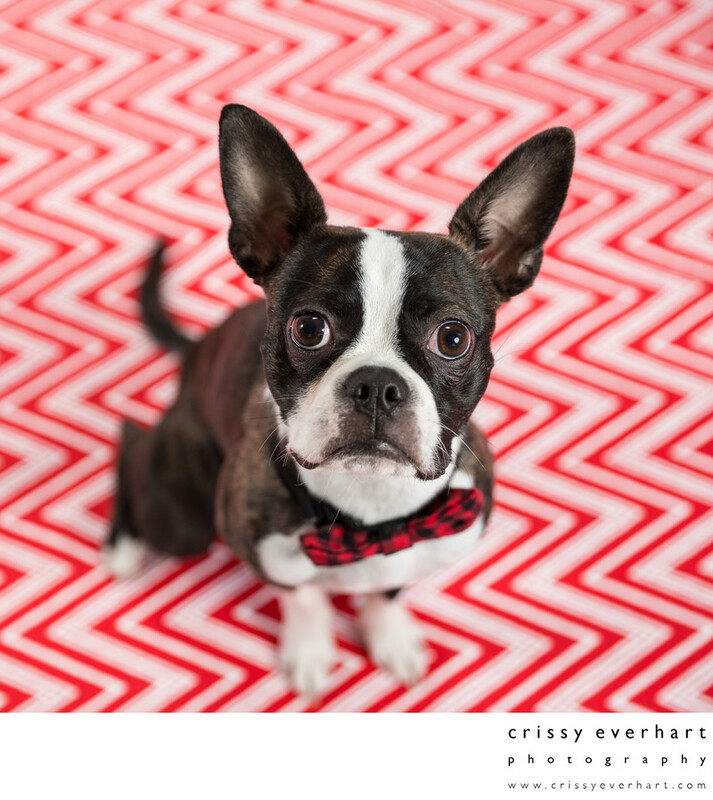 Adorable black and white Boston Terrier puppy wearing a bow tie and on a white and red striped "candy cane" background. Holiday portraits of pets can be a part of your family session or the pet can have his or her own photo shoot! Malvern pet photographer with indoor and outdoor studio in Chester County.